Description: Redding 71135 Type S Bushing Neck Die 270 Win Bushing Neck Sizing Die utilizes interchangeable bushings for precise case neck resizing, allowing the reloader to control the amount of neck sizing on his cases. A reloader can eliminate oversizing his brass by selecting a bushing correctly sized for his cases and chamber. 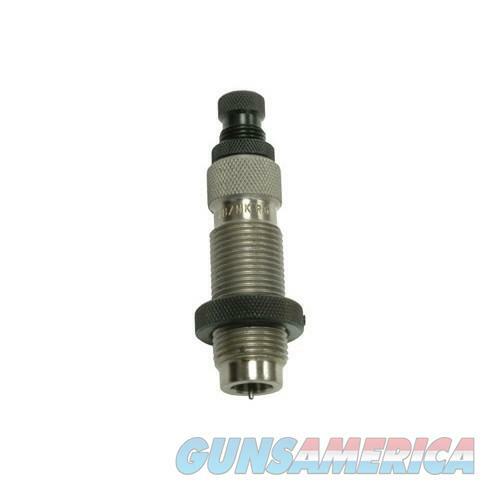 Available in over 70 calibers with interchangeable bushings in .001inch increments. The decapping rod comes with a standard expander ball and a decapping pin retainer for sizing without the expander ball installed. Adjustable decapping rod allows positioning of the bushing to resize only the portion of the neck desired. Dies supplied without bushings. Sold separately or as part of a set.